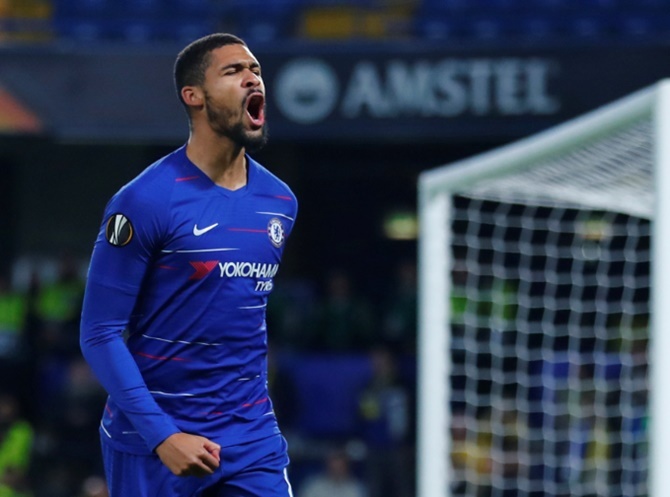 Chelsea's Ruben Loftus-Cheek had a Europa League night to remember by scoring the first hat-trick of his career as the midfielder inspired them to a 3-1 home win over Belarus champions BATE Borisov on Thursday. Making the most of a rare start for Maurizio Sarri's side, Loftus-Cheek fired Chelsea ahead in the second minute when he whipped home a low cross by Davide Zappacosta and then doubled their lead six minutes later with a clever touch. 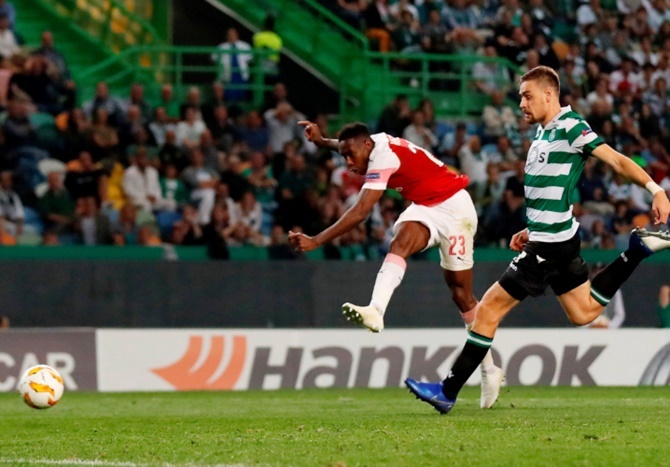 The result left Chelsea top of Group L with a maximum nine points, while BATE, PAOK Thessaloniki and Hungary's Vidi are locked on three each after Vidi enjoyed a surprise 2-0 win at PAOK. 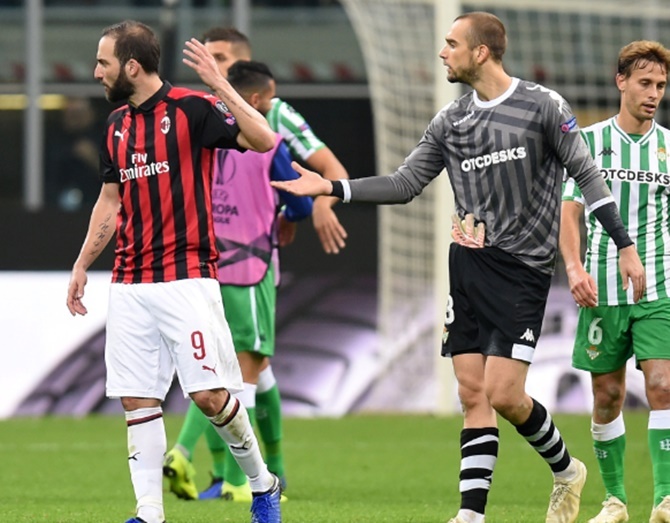 Milan's miserable week continued following Sunday's 1-0 Serie A defeat by city rivals Inter as goals from Betis' Antonio Sanabria and Giovani Lo Celso condemned the Italians to their first Europa League setback after two wins in Group F.
Patrick Cutrone pulled one back for Milan with an 83rd-minute solo effort but it was too little too late for the winners of seven titles in Europe's elite club competition. Dimitri Payet gave Marseille a glimmer of hope before Adam Marusic sealed Lazio's win with a superb strike into the top corner in the 90th minute.